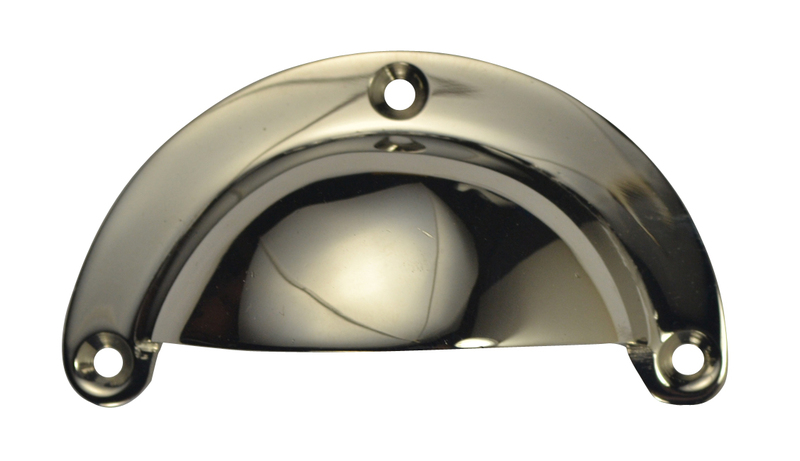 3 1/2 Inch Overall (3 Inch c-c) Solid Brass Traditional Cup Pull (Polished Nickel Finish) - measures 3 1/2 inches wide and 2 inches tall. Projection of 7/8 inches. Comes complete with mounting hardware. Made from Solid Brass.